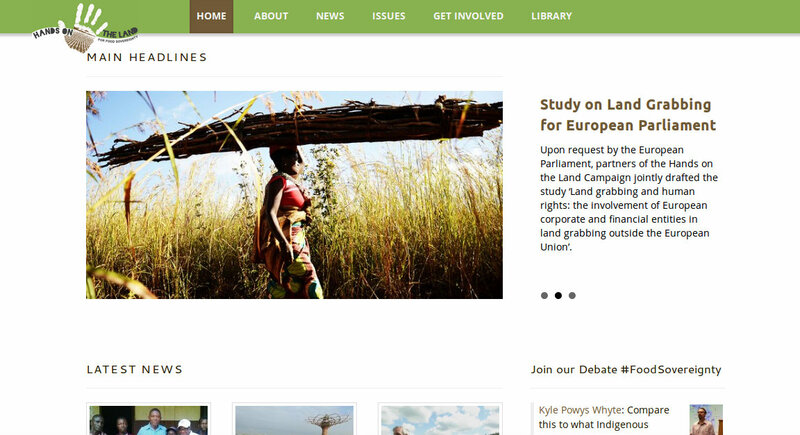 The campaign ‘Hands on the Land for Food Sovereignty’ is a pan-European education and awareness raising campaign which aims to connect struggles for food sovereignty across the global North and South. This requires putting the visions and aspirations of those at the frontline of struggles for food sovereignty, whether they be small-scale fishing communities, peasants, pastoralists, indigenous peoples, young and prospective farmers, as well as the most vulnerable and marginalised, at the heart of policies which affect them. In the European context, this requires challenging the role the EU plays where it falls short and championing EU policies where they succeed. The pressing problems associated with the governance of the global food-land-climate nexus and their devastating impacts on the world’s poorest. This includes shedding light on policies and programmes that support a system treating food, land, water, seeds and nature as market commodities instead of providing real solutions. The best practices around sustainable land, water and energy use, together with examples of positive investments in agriculture and rural development, such as agroecology, which are the key to transitioning towards climate-resilient food systems. A policy coherence for development strategy that puts human rights at the core of all EU policy making, including in trade, energy and investment policy, in order to protect and support the resources we all depend on.